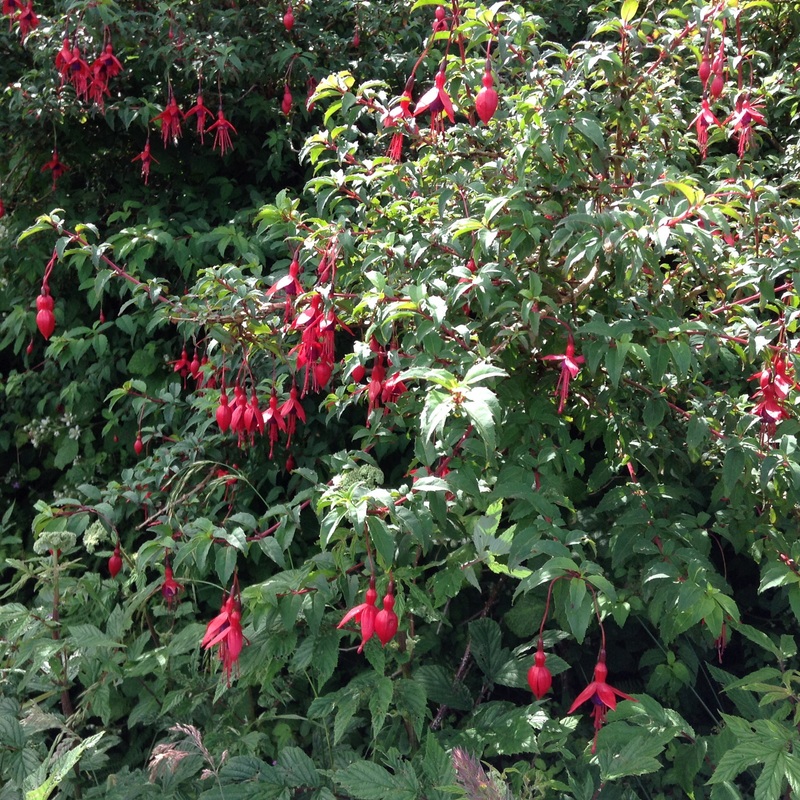 Throughout much of Ireland fuchsia grows wild in the hedgerows. Ireland is relaxed. Dublin feels like a permanent social get-together with people chatting, drinking and eating in bars. If you want to party all weekend it’s a great place to go – and it lacks glitz and pretension. People in Dublin go to a lot of trouble to paint their front door beautifully and they’re all different colours. Legend has it that after the death of Prince Albert, Queen Victoria urged everyone to paint their front door black in mourning. So the !rish painted theirs red, blue, yellow, green – anything bright and cheerful. In fact many people throughout Ireland paint the outside of their houses in bold vibrant colours too. Former President of Ireland, Mary Robinson, opened the public toilets in Waterville, County Kerry. She obviously had an unusually empty day in her diary. The Irish love drinking tea almost as much as they love drinking Guiness. Tables in cafes usually have a jug of milk on them, ready to pour into your tea which will be served up in a proper pretty teapot. You can’t escape Guiness in Ireland. They brew three million pints of it every day; the Guiness brewery occupies 50 acres in central Dublin; Guiness souvenirs are in every tourist shop; they cook wonderful beef stews in it; it’s great to drink too. The original Mr and Mrs Guiness had 21 children which might explain the size of the subsequent Guiness empire. Ireland has an abundance of historic monuments. For instance, there are castles both complete and in ruins, there are memorials to heroes and villains; there are plaques commemorating victories, defeats, moments of despair and moments of glory; there are numerous prehistoric remains. It’s a nation that has so much varied history and most of it is fascinating and well documented. 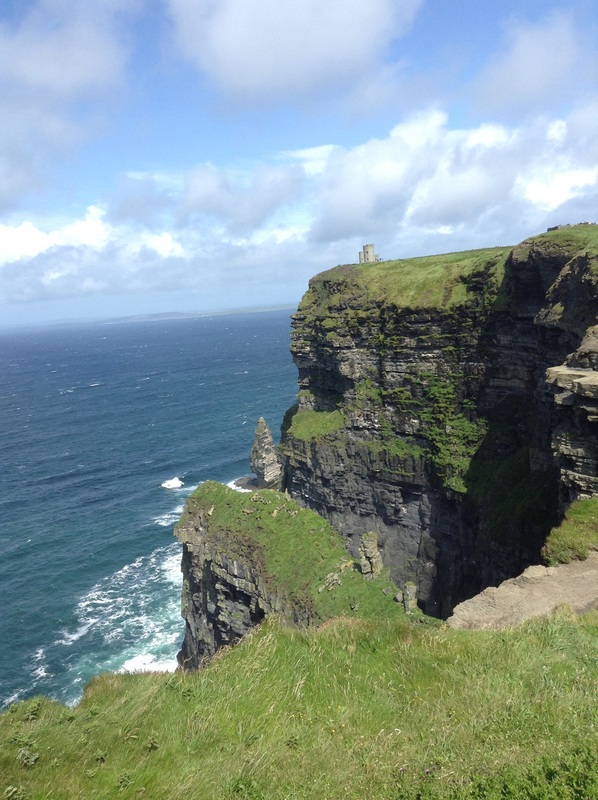 Ireland is as beautiful as anywhere in the world. The west is particularly stunning: you can drive for mile after mile absolutely captivated by the sight of one breathtaking view after another as you round every bend. Most pubs serve food which will be reasonably priced and delicious. Plenty of families with children (usually 3 or 4) eat in pubs and all the Irish children I saw were lively but well-behaved and chatted pleasantly with their parents and siblings as they enjoyed a meal together. 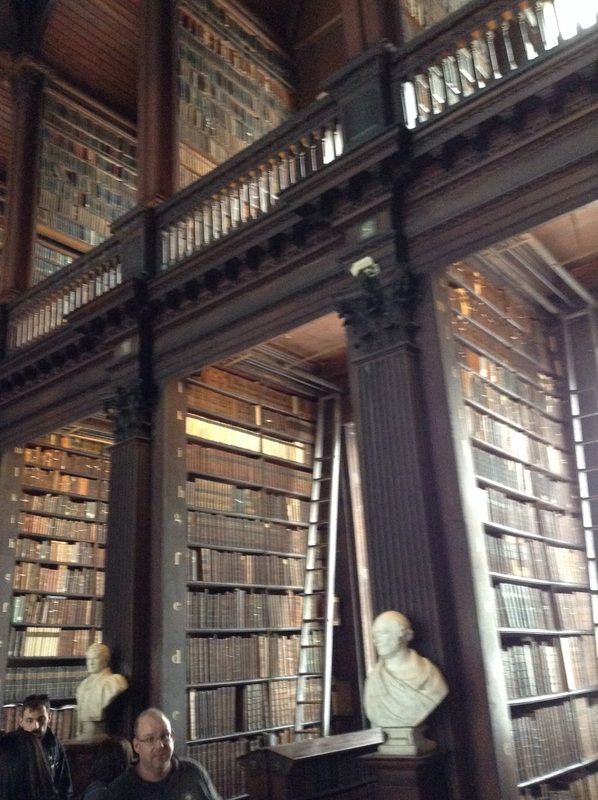 Trinity College Library in Dublin is absolutely amazing, and a sight of the Book of Kells (an illuminated text written about 800 A.D.) is well worth however long you have to queue to see it. The Irish love superlatives and can be quite competitive with their labelling of attractions and facilities. We saw “The Oldest Pub in Ireland” in three places and every few hundred yards our attention was drawn to “The Best Remembered View in Ireland” , “The Most Colourful Garden Centre in Kerry” or “The Best Craft Shop in Connemara”. Hurling is very popular and important in Ireland – more so than football. Hurling matches televised in pubs attract large and passionate audiences and it’s easy to see why. What a great game. Every September the small town of Lisdoonvarna in County Clare hosts a matchmaking event where people from all over the world come in the hope of meeting the love of their life. Probably some of them succeed – and the rest have a pretty good time anyway. Tidiness and cleanliness are valued: many towns and cities proudly display awards they have won for keeping things spotless and orderly. Motoring is a pleasure with well-surfaced and well-maintained roads where you’re likely to be the only vehicle. There are just two exceptions to this: traffic through cities, large towns and busy tourist areas tends to be very slow-moving; and some narrow roads in popular spots have many more than their fair share of tourist coaches. There are many beautiful, unspoilt sandy beaches. The Irish weather really is as bad as everyone says it is. On the plus side, though, winter isn’t that much worse than summer! So, if you’ve never been, make sure you go. Check out Dublin, but don’t just stay there – you’ll love the rest of the country too.